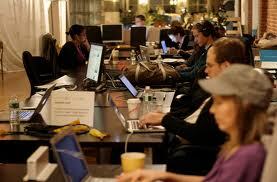 The Varick Street NYU-Poly Incubator: Best In NYC? The incubator has one single goal. To help create great companies that will call NYC home. “It’s very rare that a joint effort between the public, private, and education sector comes together to produce meaningful results. However, The Varick Street Incubator may be a shining example and roadmap for other cities to follow on how to foster tech innovation. The analysis examined the performance of the university’s startups over the past 30 years — including the 104 spinoff companies launched by the U-M Technology Transfer Office over the last decade. U-M analyzed how the university’s endowment would have performed if it had invested in those startups at an early stage. “The University of Michigan’s decision to invest up to $25 million in its own startup companies offers a telling glimpse at how the university is balancing its investment pursuits with a stated desire to boost the economy. The move also revealed a private debate in which U-M executives clashed over whether the university’s own spinoff companies were worthy of cash. U-M President Mary Sue Coleman announced Wednesday morning that U-M’s $7.8 billion endowment would deliver up to $500,000 to every early-stage U-M startup that has already secured venture capital from an outside source.